As the Go Global blog intern — not only is it my job to write about my personal experiences and conduct interviews with staff, students, and outside resources about theirs — it’s my job to do my research! World-renowned sites like National Geographic, of course, serve as a wonderful resource, as do major newspapers that often discuss travel trends such as the New York Times or the Washington Post. But what really caters to young people these days, and what really offers a subjective and personal look into one’s time abroad — is a blog. Handpicked by yours truly, here are 10 of the top travel blogs that Go Global encourages you to follow. This is a blog written by an Aussie named Brooke Sanders, a girl in her young 20s who is a professional travel blogger. Not only does she travel abroad, she lives abroad (when she actually gets the chance to come home from work!) in Berlin, Germany. She travels completely solo and loves every minute of it. This is the blog for you if you have interest in reading about travel in 6 different continents, thrill-seeking adventures, and what it’s like to be an expat. Perhaps the most motivational blog on this list, C’est Christine follows the life of California girl turned New Yorker and all of her international experiences in between after quitting her high-end Public Relations career. 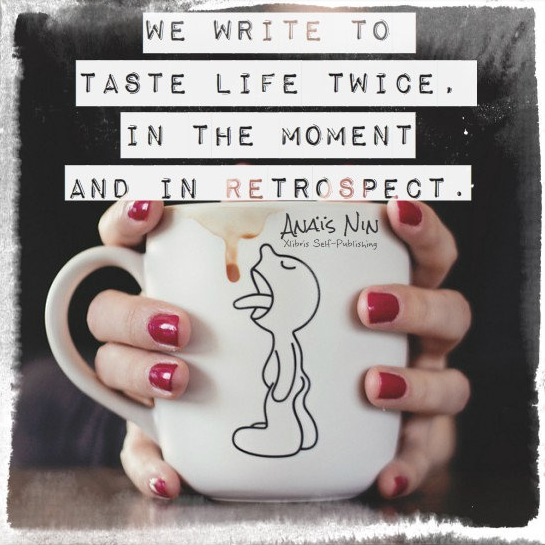 She gets deep into what really moves her in her travels and shares that inspiration with her readers, and just like me, she loves writing and sharing an honest reflection. This is the blog for you if you’d rather do yoga, share experiences, and check things off of your bucket list than sit in a cubicle. Another college graduate, Ashley began her post-grad life living in Paris on a whim, and then she decided to spend a full year traveling around the world. Now located in Denver, Colorado, Ashley still travels and shares all of her experiences with her readers. If you’re looking to figure out your next adventure upon graduation, this is the blog for you. Attention Greece students…this blogger LOVES Greece and writes about it a ton! She writes from the heart, which I love, and she sets a lot of goals for herself. Even cooler — she’s an English teacher in Korea! If you’ve ever considered taking your career to another country … Amanda is the blogger to follow. Liz lived in Spain for a few years, came home, and decided she wanted more. She then relocated to New Zealand, where she continues to share with us her passions of food and photography. A self-proclaimed introvert, an advanced scuba diver, and a social media junkie … Liz is sure to appeal to any travel enthusiast readers. Men, we haven’t forgotten about you! This is actually really one of my favorites. All you hipsters out there — this is the guy to follow. Adam’s blog is organized in the form of “city guides.” Just find the city you’re looking to visit, and click on Adam’s tab of that city. He’s sure to give you the best hipster advice out there. Quite possibly my favorite layout of all of the blogs I’ve suggested, this blog is filled with hot air balloons, which is one of my biggest bucket list items. It follows a married couple (so sweet!) and their journey around the world together. If you’ve ever dreamed of traveling with a loved one … this is the blog for you! This blog was the very first blog I read regularly when I started blogging last year. Torre DeRoche is an Australian blogger with a long list of hobbies and passions, which she talks about often. Her blog was given its name to represent her desire for adventure coupled with her rush of fear. If you’re a traveler who wants to get on the other side of fear, check out Torre’s blog. Another one for the men (I’m not kidding, the tagline is “Travel Like a Man”), Gallivant is an INCREDIBLY organized site that tells you all you need to know about hotels, dining, events, shows, etc. in so many different locations of the world. A lot of the suggestions are really off-the-wall…like a treehouse! If you’re someone who is drawn to both structure and creativity, don’t miss out on this read. What draws me to these blogs, you ask? I’m a sucker for a great layout. As people of Generation Y, we are naturally drawn to a clean and aesthetically pleasing design on the computer screen. I also love unique and original perspectives, so if I read an article on a blog that offers me something I hadn’t ever thought of before, I’m sold. That’s part of the reason that I chose blogs written by both men and women, single and married, and living in all different areas of the world. They all have something different to share with us on their artistically gorgeous sites. It’s perfection. What draws you to a travel blog? Have you ever read any of these? Do you have your own personal favorites that aren’t listed? We would love your feedback! Happy reading 🙂 Have an inspirational day.